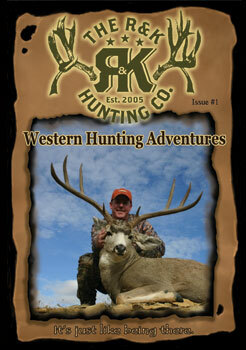 Come join R&K Hunting Company on a western hunting adventure that spans three states; Utah, Wyoming, and Montana. In this first issue, you’ll see a giant Shiras moose that is comparable to a Yukon. Also, we will be chasing mule deer from a cactus buck to one that has a spread of 36 inches. We will also be joining Matt Howard as he harvests a pronghorn antelope that easily makes it into the record books. This video is packed with some of the most exciting hunts the west has to offer. Awesome website Love all that you’re doing for us hunters and enthusiasts as well.